In our last few blogs, we explained the importance of becoming familiar with your air conditioner’s key components and functions, as well as the steps you can take to prepare your air conditioner for the blazing hot summer months. Today, we’ll be discussing the warning signs telling you it might be time for a repair. Here in New Braunfels, the last thing you want is for your air conditioner to give out on you in the middle of summer, but unfortunately, many AC units have a limited lifespan. Having a certified HVAC technician inspect and repair your air conditioner can help it to last longer and run more efficiently. And while there are obvious warning signs telling you it is time for a repair, other signs are easily missed. At Legacy Heating and Air Conditioning, our goal is to help you maintain your air conditioning unit so that it runs at its full potential year-round. Therefore we have composed a list of some of the common warning signs telling you it is time to have your air conditioner serviced. Please continue reading below. One indication that your AC unit is not functioning properly is if you notice that the air is just not as cold as it used to be or worse—it is not cold at all! This is a sure sign that your unit may need to be repaired or even replaced. If you detect that the air flowing from your AC vents is weak or nonexistent, this could be a sign that the compressor or blowing unit may be failing. Another sign is if some rooms are getting air while others are not. This could also be an indicator that your air duct system is clogged or in need of attention. Sometimes the thermostat can be off which causes inconsistent air temperatures throughout your home. If you notice that one room is quite cool where another is not, the likely culprit could be the thermostat which should be inspected by a professional immediately. Thermostat issues can also cause unwanted financial stress by increasing your monthly energy bill. Use your senses to identify warning signs that your AC unit is in need of repair. If you hear strange sounds such as clanking, hissing, buzzing, or any other unusual sounds coming from your air conditioner, this is a major indicator that a repair is needed. A clanking or banging sound is a sure sign that a part has come loose; a hissing sound suggests there’s an issue with the ductwork; and buzzing—well, that’s more serious, as it is likely a dangerous electrical problem that needs to be addressed immediately. 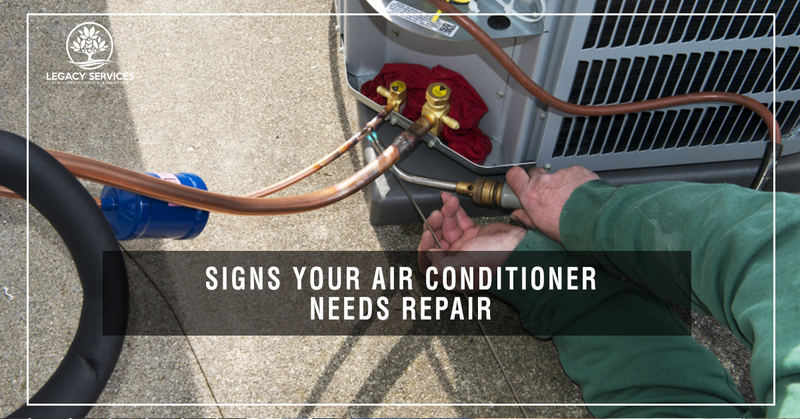 These are just a few of the common warning signs telling you that your air conditioning unit may be ready for repairs or even replacing. Our highly trained technicians at Legacy Heating and Air Conditioning are here to help you maintain a cool, comfortable temperature throughout your New Braunfels home all summer long. 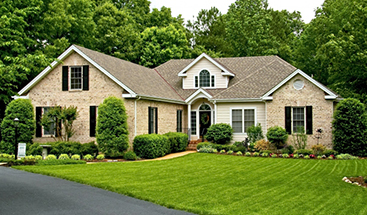 If you have any questions or would like a FREE estimate, please contact us today!